Most cities in the south have a neighborhood where many doctors, lawyers, and other wealthy residents tend to live, usually an older one, with amazing mansions, an exclusive country club, and more security than most. These are often referred to as the "old money" neighborhoods, because they tend to be occupied by generations of the wealthy families. 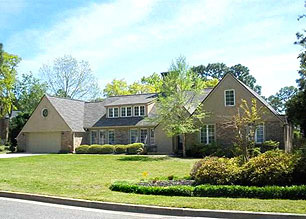 In Myrtle Beach, our "old money" neighborhood is Pine Lakes Country Club. Pine Lakes was developed in 1927, and has long been a golfer's favorite course. 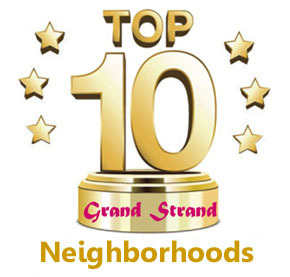 Located right off Highway 17 Business in the middle of the best part of Myrtle Beach, the convenience it offers to its residents is part of the charm. Other than Pine Lakes, the only golf course in the heart of Myrtle Beach is Grande Dunes, which is a mile or more west, and much further from the beach. From Pine Lakes, the ocean is less than a half mile - a healthy walk or only a short golf cart ride away. 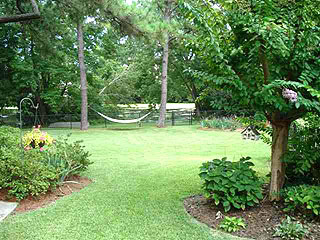 The neighborhood landscaping is gorgeous, with many lakes and ponds surrounded by rolling greens. The first course and clubhouse in Pine Lakes was designed by architect Robert White, who was the first president of the Professional Golf Association (PGA) of America and a co-founder of the American Society of Golf Course Architects. The elegant clubhouse has recently been renovated and is now even more impressive. For the golfer, the course itself has been renovated as well. You can experience the original design on the back nine, and enjoy a whole new look and feel on the front nine. The homes for sale in Pine Lakes will usually have large landscaped yards - even some acreage, and offer more privacy than most homes. The houses will be unique, often brick or stone, and tastefully conservative. Hardwood or cypress flooring, Florida rooms, fireplaces, home theaters, inground pools, and quality will be what you notice first. Homes can be priced from a million-plus to an affordable mid six figures. You can occasionally even find a vacant lot in Pine Lakes. Expect to pay around $200,000 for a prime and rare homesite here. 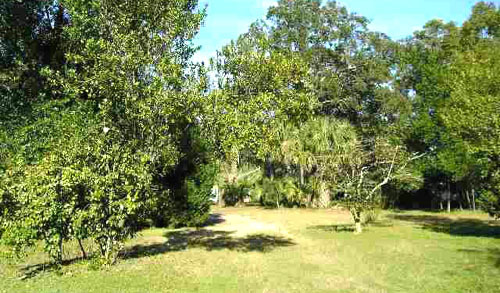 Myrtle Beach land near the ocean is always at a premium, but this would be an unusual find. If you want a home in an older, more established neighborhood, love golf, and want to be within walking distance to the ocean, Pine Lakes is where you want to look first. Call or contact us for more details!